An early supper a couple weeks ago took Ruth and I to Siam Restaurant & Bar, a thai place right in the heart of Edinburgh’s New Town on Howe Street. The restaurant was recently taken over and re-opened in August this year following a full kitchen refurb and a few little touches to the inside and exterior. 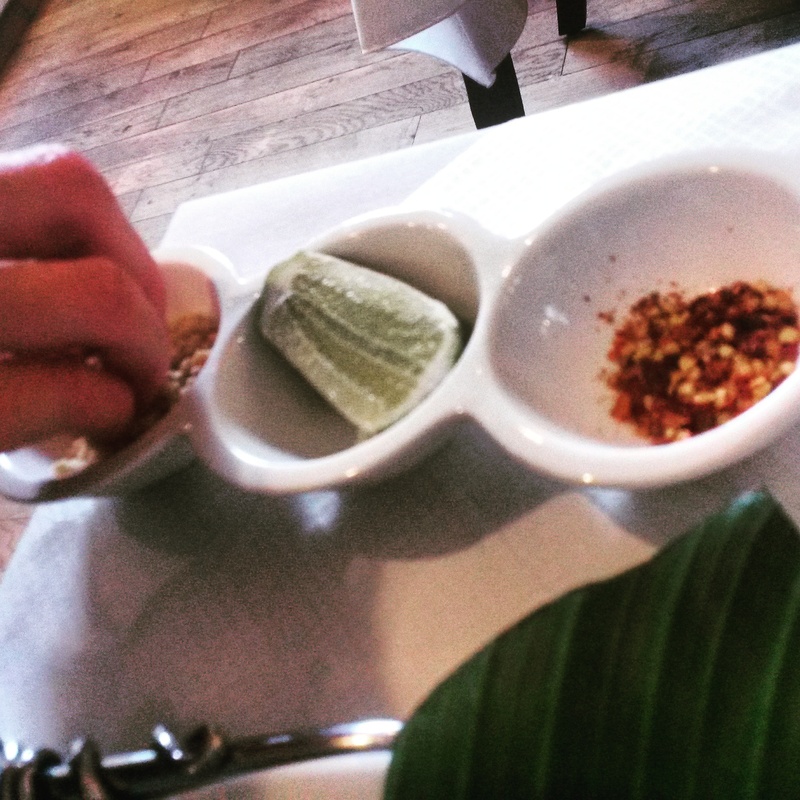 With already more than a few favourite thai restaurants in Edinburgh, I was keen to find out if Siam was going to make the cut. Despite it only being between 5.30 & 6pm on a Tuesday, the new owner was quick to welcome us on arrival and we pulled up a pew at the front of the restaurant. 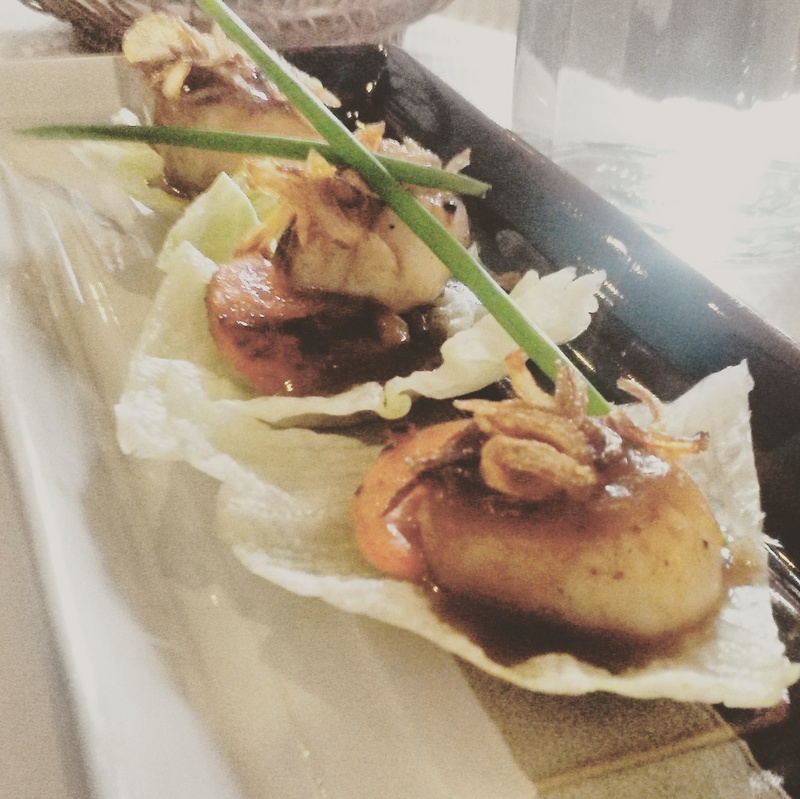 Whilst deliberating over the menu, we were told that the seafood is delivered fresh each day, and they had taken that day’s delivery at 12.30pm. Fresh seafood? I’m sold. 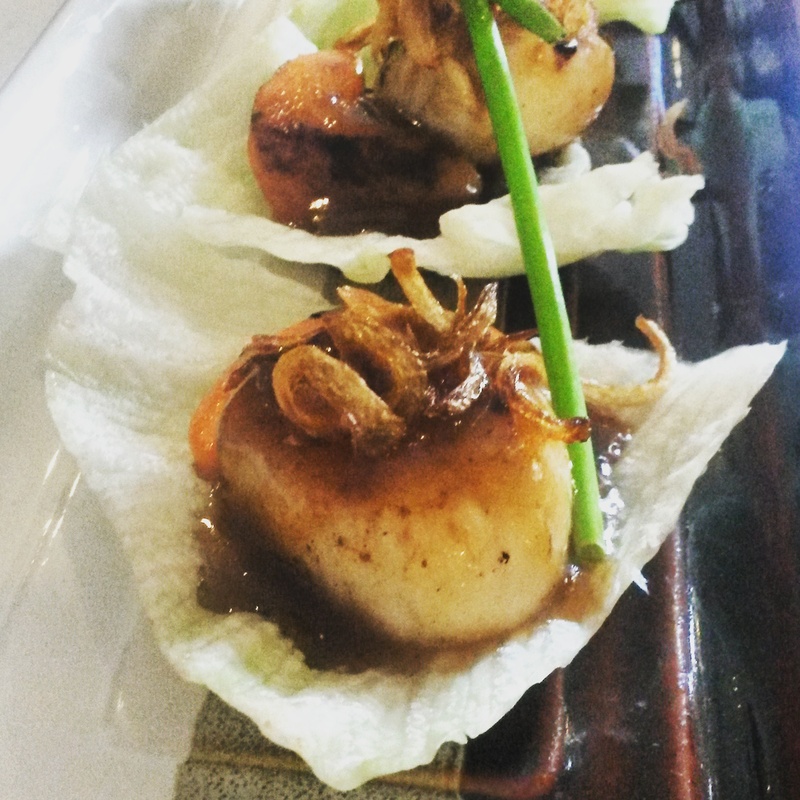 With that in mind we shared the seared scallops to start, which were served in a rich tamarind sauce with crispy onion. 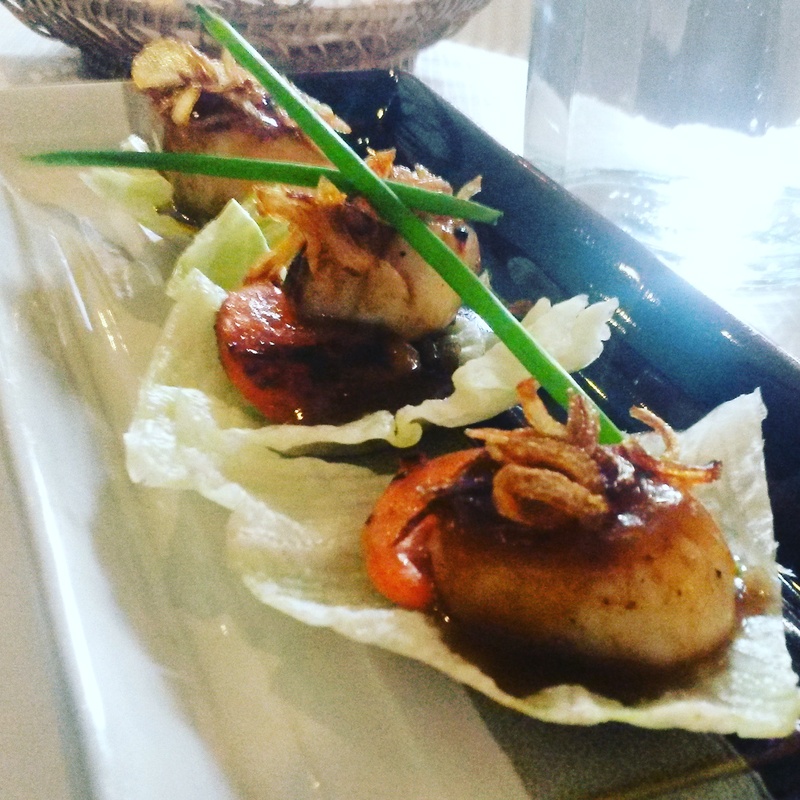 The scallops were plump, juicy and nicely seared, complete with the roe attached, which I quite like. The crispy opinion on top added a nice crunch to a very fresh, flavoursome starter. For our main dish, we both opted for noodles. 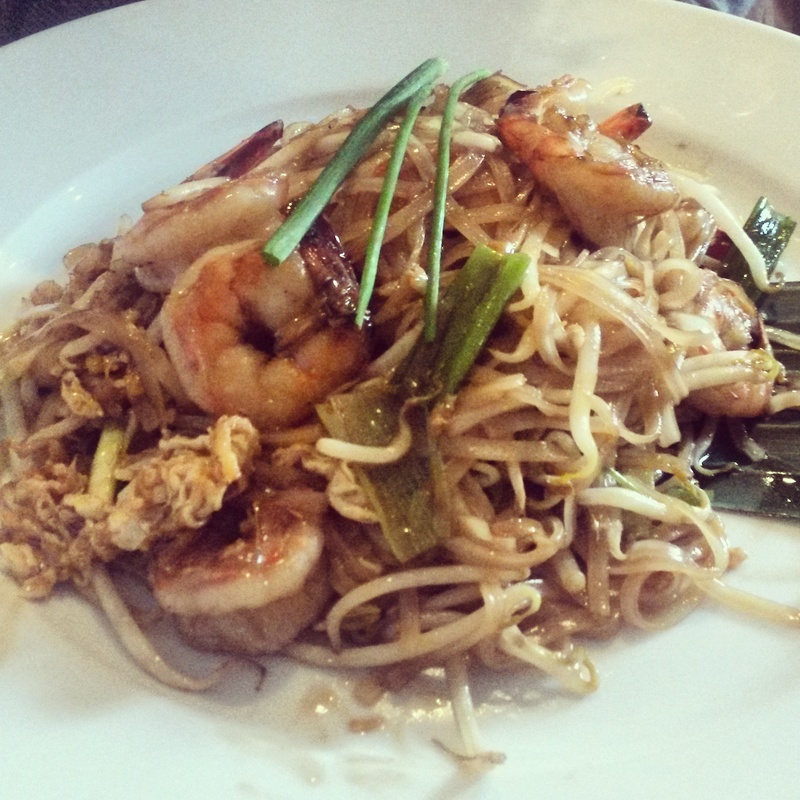 After a bit of indecision getting the better of her, Ruth went for the staple Pad Thai dish with king prawns, and I chose the ‘Drunken Noodles’, also with king prawns. If the starter was anything to go by, more seafood was going to hit the spot. What are ‘drunken noodles’? Slightly irregular looking and also known as ‘crazy noodles’, they are usually made with broad rice noodles. This dish was stir fried in a yummy combination chilli, garlic, green beans and thai basil. 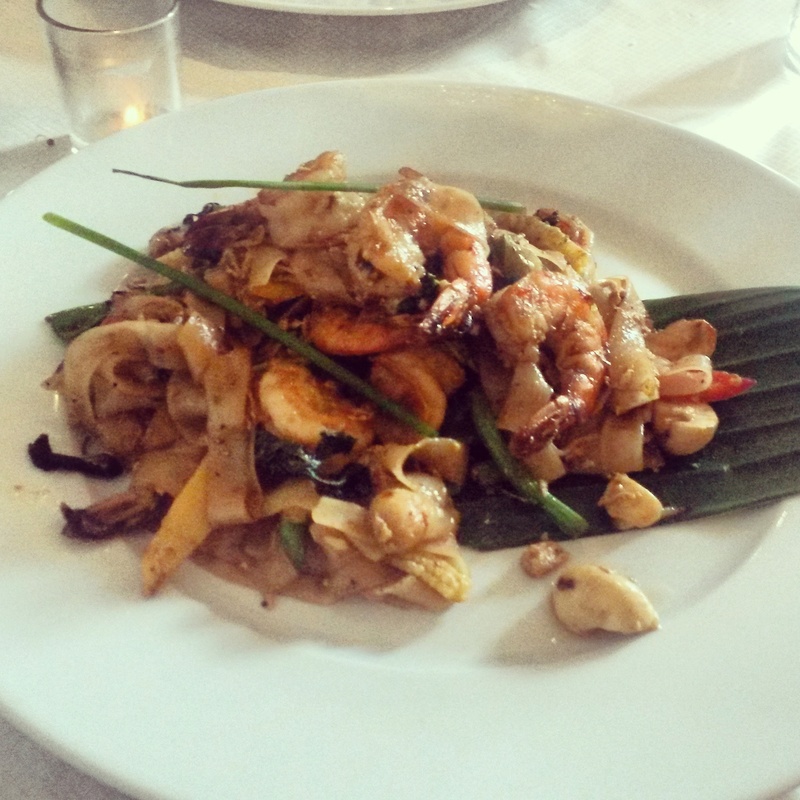 The prawns were not only huge, but plentiful, and I was pleased to find an good amount of vegetables to noodle. The Pad Thai dish was much more noodle heavy with lots of bean sprouts, spring onion and egg, as you would expect, making it quite a heavy, but still tasty, dish. 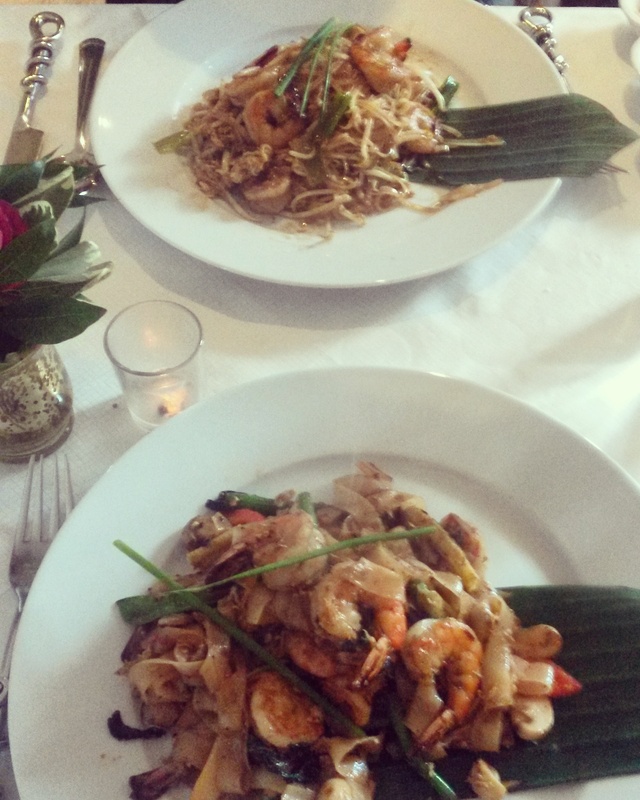 For a little variety, it might have bene a good idea to share the Pad Thai and split something else, or order another starter to go with it. We couldn’t stay for long and due to driving the drinks menu did not even get a look in this time around. The staff were friendly and attentive, and I think it’s rather impressive that the atmosphere didn’t suffer too much from the pair of us being the only early bird diners in the whole place! Unfortunately I can’t compare Siam to the Ruan Siam Restaurant that was there before, but I can vouch for authentic flavours, fresh seafood and really friendly staff. I wouldn’t have said Edinburgh needed another thai restaurant, but I’m certainly not going to complain about having this delicious eatery on my doorstep. I will be go back, and I will be more adventurous with my choices next time around!